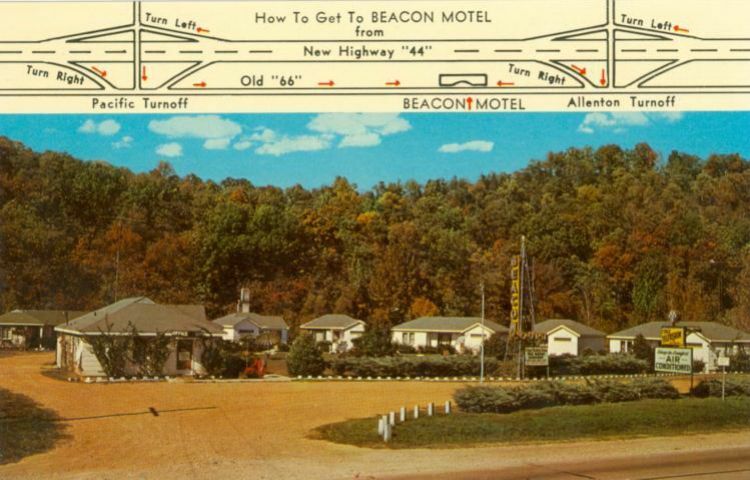 Interstate 44 bypassed Pacific in 1960, so the owners put out new cards with directions to the motel. When it opened. The Beacon had ten units, by this time expanded to 16.